It’s been more than a month since the Presidential election, and we are still arguing about what happened and how we move forward. 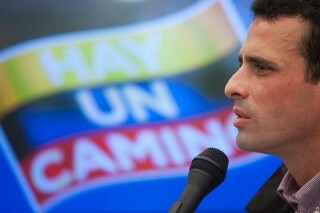 One thing I haven’t really seen is serious introspection on the part of the Capriles campaign or the candidate himself. I guess he is busy running for Governor in Miranda, but it would be nice if they could say what they could have, or should have, done differently. Now, I’m on the record saying the campaign was pretty good (“perfect”), so I’m as guilty of this as anyone. But still, looking back on it, maybe there was room for improvement. For some reason, this post by the Bipolar Capybara keeps coming back to me. Written a few months ago, it was eerily prescient of a big flaw in the Capriles campaign’s unerring, hyper-focused message discipline that we praised so much … but that may well have spelled his/its/our doom. We didn’t think so at the time, but we should have: when the guys on your side are making fun of you for not saying anything substantive … perhaps you have a problem.